I went to go and watch "Blackfish" the other night. It's a very powerful documentary by Gabriella Cowperthwaite about orca being held in captivity (it's notable in the film that all the people from the theme parks call them "Killer Whale", and all of the scientists call them "Orca"). "Blackfish tells the story of Tilikum, a performing killer whale that killed several people while in captivity. 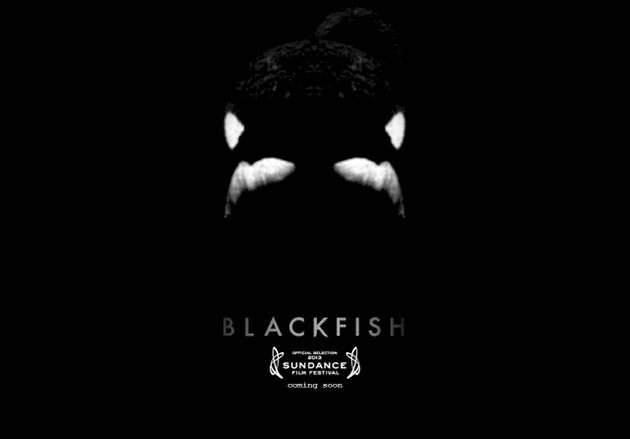 Along the way, director-producer Gabriela Cowperthwaite compiles shocking footage and emotional interviews to explore the creature’s extraordinary nature, the species’ cruel treatment in captivity, the lives and losses of the trainers and the pressures brought to bear by the multi-billion dollar sea-park industry. This emotionally wrenching, tautly structured story challenges us to consider our relationship to nature and reveals how little we humans have learned from these highly intelligent and enormously sentient fellow mammals". 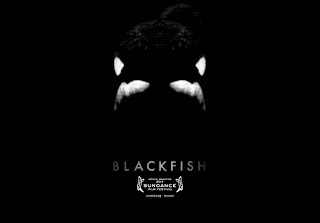 The film is perhaps a little one-sided (there's no contribution from Sea World, for example), and I can't help but think that a few of the interviewees are being a little disingenuous about how powerless they were to make a difference, but there's no denying that this is a very powerful film. We saw some orca in the wild off the coast of Vancouver Island in July 2010, and they are magnificent animals. They live in matriarchal pods and they travel up to one hundred miles a day and may range across thousands of kilometers of ocean. They are clearly intelligent, social animals and it just seems wilfully cruel to shut them up in tiny tanks and to make them perform tricks just for our gratification. Is it really any wonder that these animals occasionally snap and lunge out at their trainers? There have been absolutely zero reported attacks by orca on humans in the wild, but these sorts of attacks are relatively common in captivity and people have died. This is a photo of one of the orca we saw in Canada. That dorsal fin is about 2m tall. It's a very impressive animal, and watching this film having seen these creatures in the wild really drove the message home for me. We're better than this. More importantly, the orca deserve better from us. It's not an easy film to watch, but I'd highly recommend it. 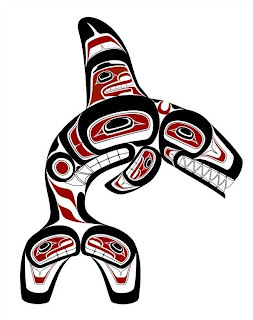 For the haida, the orca is an animal of tremendous spiritual significance. Within the Haida society, the killer whales were viewed as members of a race of people who operate in the underwater realm much as human society does on land. The killer whales could capture a canoe and take it underwater to transform the occupants into whales. Thus, whales seen swimming near the shore were really transformed humans trying to get in touch with their families. 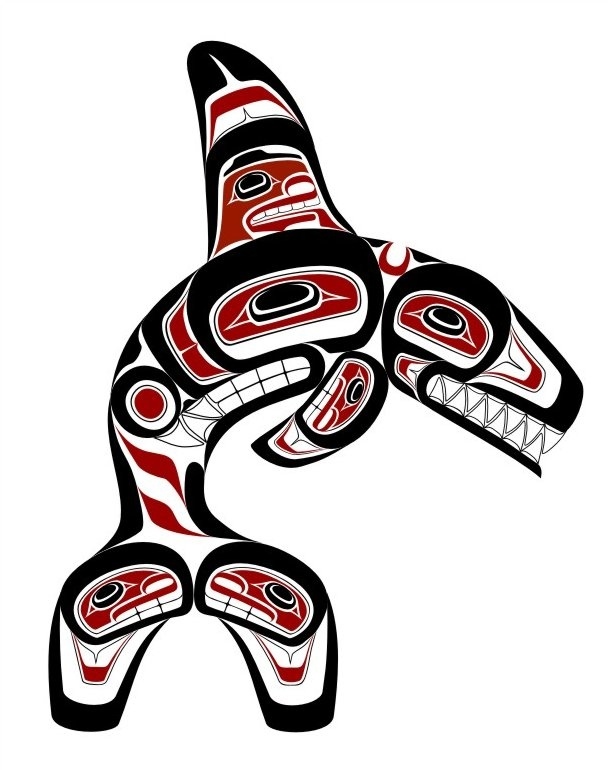 Haida also used the killer whale as a popular symbol of family, for the whales stay with their families and travel in large pods. Tlingit stories tell of how the killer whale was created: a man named Natcitlaneh was abandoned on an island by his jealous brothers-in-law. He was rescued by sea otters and taken to their village in a cave where he healed their chief. In return, the sea otters granted him magical powers. Natcitlaneh carved killer whales out of different types of trees. Finally, when he carved the whale out of yellow cedar, it came to life when placed in the sea. Natcitlaneh held onto the dorsal fin of the whale and went out to sea with it. There, he saw his brothers-in-law in their canoes. Natcitlaneh’s whale avenged him by smashing the canoes and killing his wicked brothers-in-law. Natcitlaneh told the whale that it must never again hurt humans. That is why killer whales, to this day, do not eat people. Anyway. It's a lovely design, and I was toying with the idea of getting it across the top of my left arm, with the tail dipping down towards the t-shirt line and the head facing towards my chest. 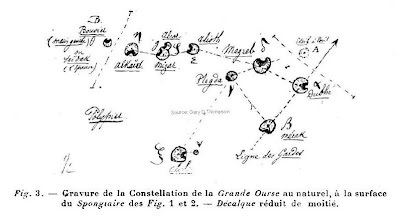 Another idea I've been toying with - perhaps for my right shoulder - is some sort of star map of Ursa Major. 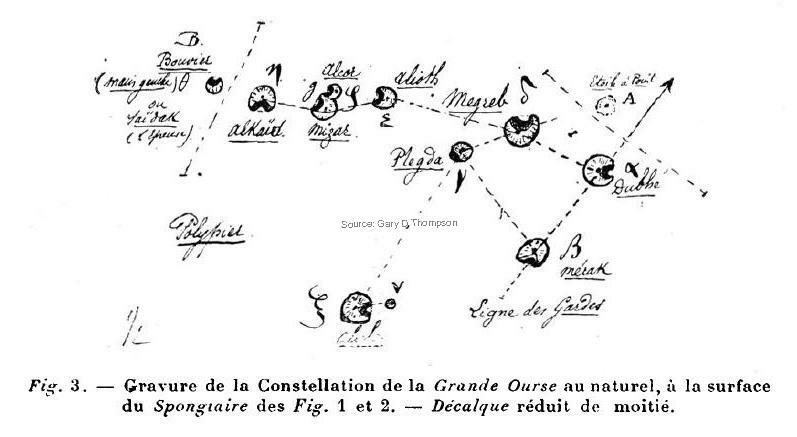 I'd like something like this, perhaps with a bit less text, although I haven't really worked out how to make it work. One to keep thinking about anyway. There's certainly no rush. I might explore the orca idea a bit further though. The bear paw on my back represents an animal that is strong but gentle, lord and protector of the forests. An orca represents something similar for the oceans, and I really like that. I also really like the design (which, as it happens, is similar in colour to the bear paw on my left shoulder, which is a Navajo indian design). I'm not especially looking to coordinate, but I suppose that's a happy bonus. I've been chewing on both ideas since my last tattoo in 2010, but there's no rush. No need to be hasty inking something permanently into your skin, eh? Given that I've been thinking about getting myself an Orca (as you note)since 1993, I wholeheartedly agree that there's no rush. The only thing I won't thank you for is any accusation of copying you, when I finally get around to it. As this is likely to take another 20 years, I think our friendship is safe for a while. pff. As I acknowledge your precedence here, mocking you for copying is hardly likely to be an issue. You should pull your finger out. I'm going to poke my nose into Bodycraft later today to check it out and to make an enquiry. So, I popped into Bodycraft (and one of their other branches as a cross-check on what I was told) and it's going to be about 3 hours for the orca and perhaps an hour or so for the stars (without all the writing and stuff, except for the Greek letters, which I really like). Left arm and right shoulder blade respectively. I'm going to pop in next week sometime to actually sit down with a particular tattooist - who wasn't in today - to discuss, but yeah.... might actually do this.